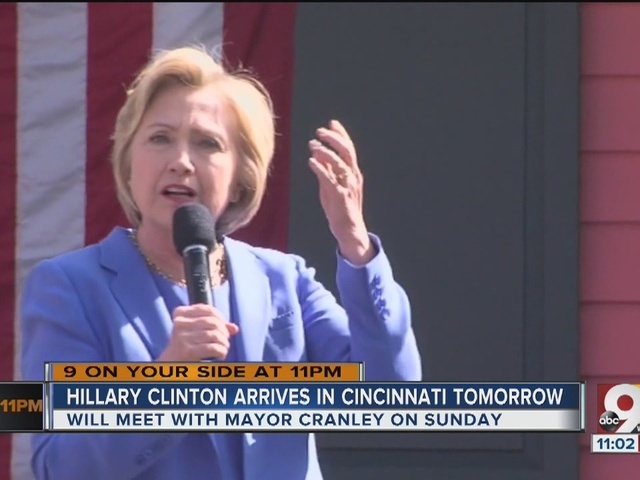 CINCINNATI -- Presumptive Democratic candidate for president Hillary Clinton is campaigning with Sen. Elizabeth Warren in Cincinnati Monday, a day after holding a fundraiser at Cincinnati Mayor John Cranley's home. Clinton and Warren, D-Mass., will visit Cincinnati Museum Center at Union Terminal at 10:30 a.m. Monday to discuss building a stronger economy. The event is open to the public. Those interested can RSVP by clicking here . The doors open at 8:30 a.m., according to campaign officials. Warren is one of three potential candidates on Clinton's short list for vice president, according to The Washington Post . Ohio Rep. Alicia Reece, a Democrat from Cincinnati, is also expected to speak at the event this morning, according to a statement from her campaign. More than 200 people attended Sunday's fundraiser at Cranley's home, which straddles Hyde Park and Mount Lookout. Donors who gave or raised $33,000 enjoyed a private reception with Clinton there. Those who gave or raised $10,000 were able to meet Clinton Sunday and take a photo with her. The remaining donors who spent $1,000 participated in an outdoor reception in a tent outside Cranley's home, where Clinton delivered a private speech. "Secretary Clinton and her campaign have been incredibly generous with her time in Cincinnati," said Jared Kamrass, principal at the firm Rivertown Strategies. 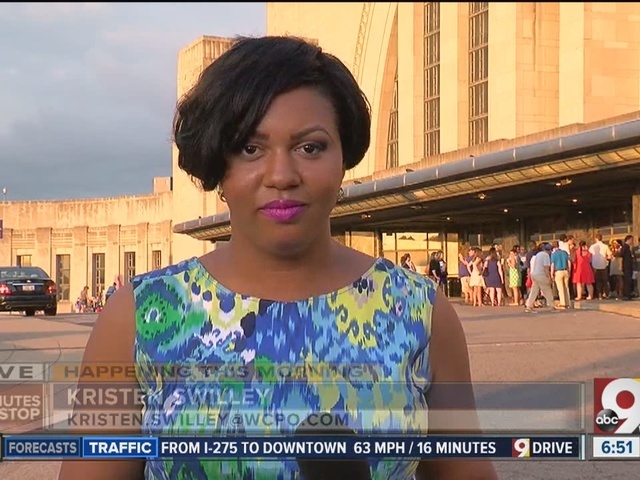 "When you are running for president, you have to make the most out of every minute you have, and she has made an effort to prioritize Cincinnati."